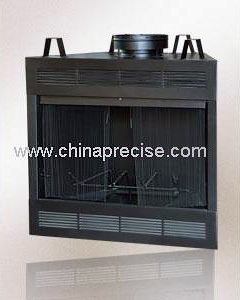 The gas stoves are made by galvanized steel, steel and high temperature resistance paint for high heat. The stoves are ideal for room heating, because you don’t have to worry about the time to add more logs while sleep. Moreover, with the protection glass, you don’t have to worry about any flammable material being in your stoves. It is safe and at the same time, helps you to achieve the goal of energy-saving. The mid-sized gas stoves are also a good solution for interior design because we provide a fine detailing cast iron technique for the heating device. This alternative product has efficient gas-log-set as well to help you feel familiar as using a real fire place. The gas stoves are one of our featuring products, and they are available for OEM as well as ODM to customers worldwide. They can warm up your house, light up every corner of your room and at the same time, beautify the house design for you. We are glad to present the elegant gas stoves for your demands, so please feel free and contact us today for more information!